Can you tell me the dimensions of this painting, please? It’s a 5X7 I believe. Two is Company is sold. Martinis for Two is available. Not sure I was clear on your question. Fish Bait Original Watercolor SOLD. Prints available. Hey Cupcake! Original Watercolor SOLD. Cards and prints available. Port Aransas 1983 Not for Sale. Old Blue Original Watercolor SOLD. Cards and prints available. Sold. Stay Awhile Original Watercolor SOLD. Gwen and the Packard Original Watercolor SOLD. Winery in Tuscany Original Watercolor SOLD. Lavender Fields Forever Original Watercolor SOLD, Cards and prints available. Under the Tuscan Sun Original Watercolor SOLD. Cards and prints available. Good Day Sunshine Original Watercolor for Sale. Sold. The Spoke. The Broken Spoke Original Watercolor, Cards and prints available. Under the Hood Original Watercolor of Top Notch available. Cards and prints available. Farm to Table Decedence Original Watercolor of Hillside Farmacy. Cards and prints available. So Far Out Original Watercolor of The Austin Motel for sale. Cards and prints available. Sold. Now Showing Original Watercolor of The Paramount Theatre SOLD Cards and prints available. Big Blue SOLD Cards and prints are available. All is Bright Original Watercolor SOLD. Cards and prints available. Sold. Happy Camper ORIGINAL Watercolor SOLD. Cards and prints are available. Sold. There’s No Place Like HomeOriginal Watercolor Sold.Cards and prints available. 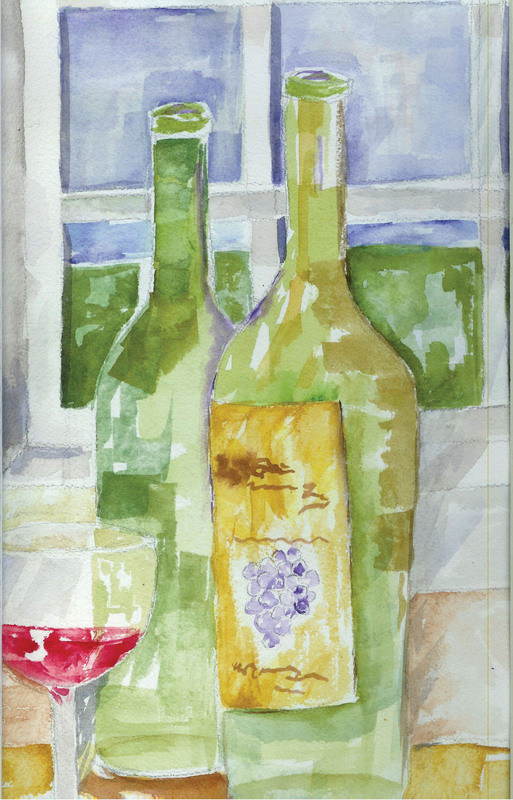 Martinis for Two Original Watercolor Donated to Meredith’s Mission for Melanoma Awareness Gala 2017 Cards and prints are available. Sold. I’ll have Another 5 X 7 SOLDCards and prints are available. Sold. Woody in Paradise Original Watercolor, SOLD. Cards and prints available. A Cat Named Yardley Original Watercolor SOLD Cards and prints are available. Three’s a Crowd – SOLD Cards and prints are available. Fish Bait – Gift Cards and prints are available.